Many skilled workers, craftsmen and all the other people who have to work a lot with their hands know the problem of skin irritation and dermatitis on their hands. In particular, contact with detergents, acids and alkalis, but also with oils and fats as well as glue and adhesives stresses the skin above normal. So it is advisable to take precautions and to make available to you and your personnel an appropriate protective product. With Caramba’s hand protection cream, you have a special product that acts as an invisible glove. So you can rejoice over productive employees while contributing to a healthy working environment. The hands are the main tool of your employees and should be appropriately protected. Even the best specialists lose their efficiency if their hands are chapped or covered with painful eczemas. Therefore, take precautions against non-productive time, low productivity and even accidents and equip your business with our hand protection cream. This product acts like an invisible glove and allows a safer handling and contact with aggressive substances and solutions. In addition to this, it protects the skin against soiling so that it can be easier cleaned after the work. Hence, Caramba’s hand protection cream is an important contribution to a more pleasant, safer and above all efficient work. At first, clean and dry your hands. Only a hazelnut-sized amount of Caramba hand protection cream is needed and should be then rubbed on the hands. Always treat also the finger nails and the nail beds. After a short drying time, a protective film develops, which will protect yours personnel’s hands for the next working hours. 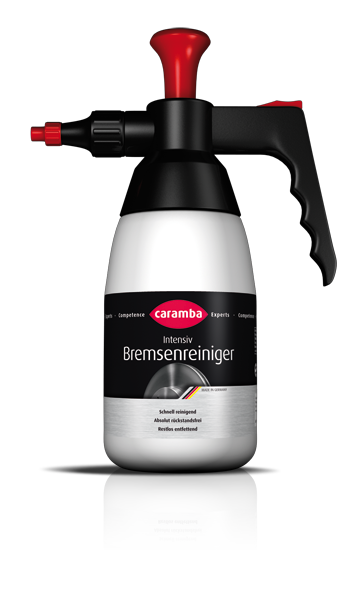 In the case of major soiling or intensive contact with aggressive substances, you should wash your hands at first with Caramba hand cleaner and then retreat them using our hand protection cream. After completion of your work, this cream can be very easily rinsed off using water and soap or a hand cleaner. Protect the hands of your personnel with Caramba’s hand protection cream.